My Father Cigars are a prestigious cigar brand that is highly sought after from seasoned and new cigar smokers alike. This sampler comes with 5 unique and beautiful cigars ranging in strength and flavor. Each cigar is of top quality, one of which was rated Top 25 Cigars of the Year. Don't miss out on this excellent assortment of top-quality smokes! We’ve brought together Oliva’s greatest editions to their already popular cigar line: the NUB Variety Sampler with Cutter. Sample an array of different cigar wrappers from the Nub line at one low, low price of just $34.95! 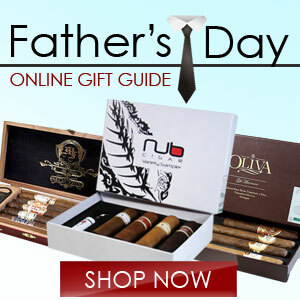 The Oliva Cigar 4 Pack & Cutter Gift Set is a great choice for that special man in your life. Featuring four of the most popular cigars from Oliva, each gift set comes with one of the Serie V Robusto, Serie O Toro, Serie G Toro, and Connecticut Reserve Churchill. These four cigars are all handmade in Nicaragua and exude fine premium tobacco. In addition, the premium tobacco has gone through various stages of aging allowing for added flavor in the cigars. This handsome gift set is completed with a finely crafted guillotine cutter that will give you a clean crisp cut every time.